Catherine singing “Faith, Hope and Love” at the 2018 Papal Mass in Dublin, Ireland. 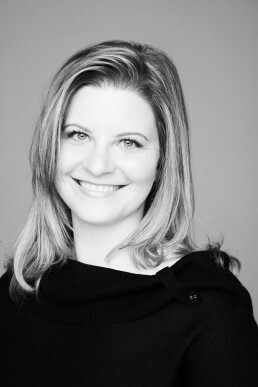 Dublin-based Canadian soprano Catherine Redding, described as `warm, clear and impeccably controlled´ (The Irish Times), has performed internationally in opera, oratorio and recital. 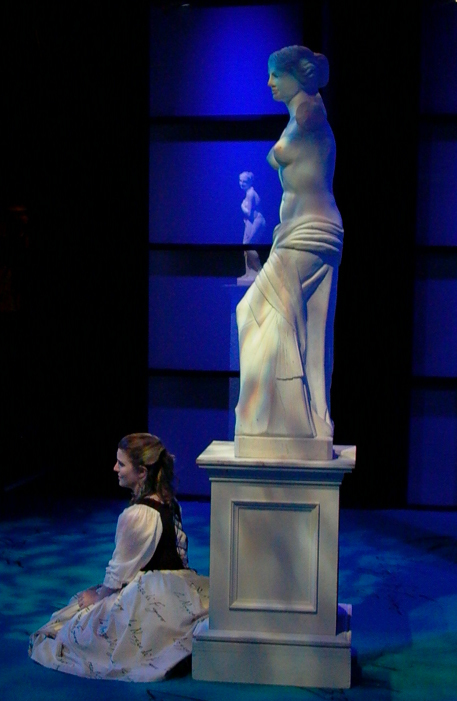 Catherine, whose stage presence has been described as `delightful´ (The Birmingham Post) has enjoyed performing the operatic roles of Oscar (A Masked Ball) and Zerlina/Donna Anna (Don Giovanni) with Opera 2005, Barbarina (The Marriage of Figaro) and Emmie (Albert Herring) with Opera Project, and Sandman/Dew Fairy (Hansel and Gretel) with Longborough Festival Opera. Oratorios include Bach’s Mass in B Minor, Brahms’ Requiem, Beethoven’s Symphony No. 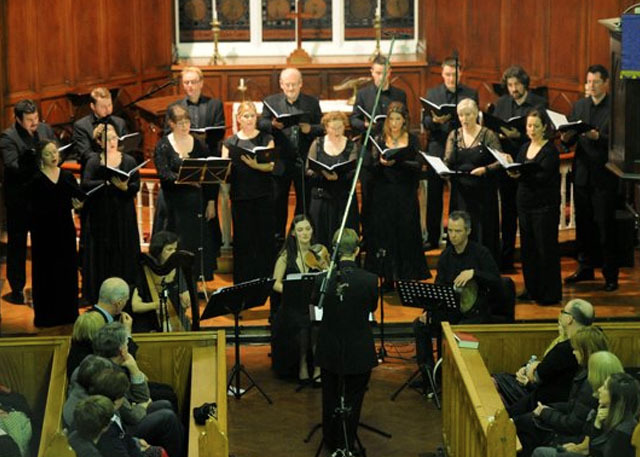 9, Handel’s Messiah, Vivaldi’s Gloria, Mozart’s Coronation Mass, Great Mass in C Minor and Requiem, Dvorak’s Mass in D, Nees’ Magnificat, and Fauré’s Requiem in venues such as St. Martin-in-the-Fields, The National Gallery, The National Concert Hall, and Christ Church Cathedral, Dublin. 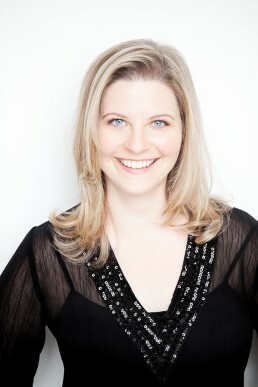 Catherine has been a guest soprano soloist with ensembles including The Guinness Choir, Resurgam, the Irish Baroque Orchestra, the Tallaght Choral Society, CHANT21, RBS Singers, the Ranelagh Singers, the Palestrina Choir & Orchestra of St. Cecilia, the Dublin Bach Singers, and the University College Dublin Choirs & Orchestra. Catherine has taken part in performances of Buxtehude’s Membra Jesu Nostri and Couperin’s Leçons de Ténèbres with the Crow Street Consort. Catherine was warmly received in the Czech Republic, where she sang arias by Bach, Handel and Rejcha with The Czech Boys Choir and Hradec Králové Philharmonic Orchestra. 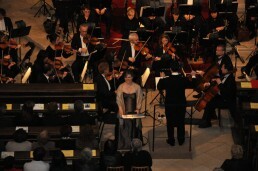 As a regular guest soloist with Resurgam, Catherine has featured in several of their performances including Handel’s Dixit Dominus and Mondonville’s In Exitu Israel, directed by internationally-renowned Christophe Rousset, Bach’s St Matthew Passion and their Venetian and Neapolitan Vespri concerts. As a recitalist, Catherine’s performances in Canada, Italy, Austria, England and Ireland have encompassed a repertoire of Baroque to contemporary works with her Schubert being noted as `charming and moving´ (Review Vancouver). 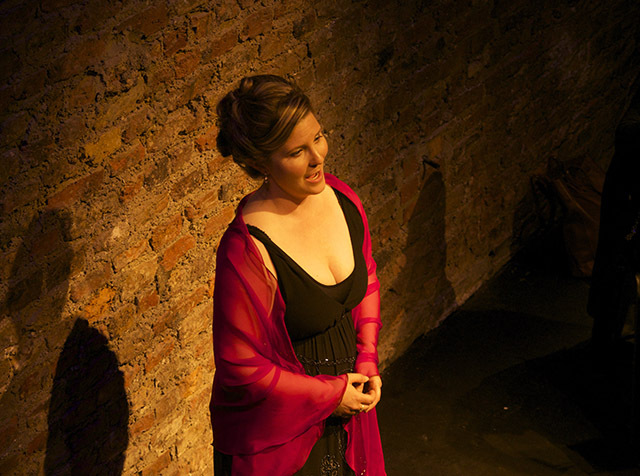 She recently performed a French Art Song Recital L’heure exquise with pianist Michael Quinn at Castalia Hall (Music in Kilkenny), the Hugh Lane Gallery (Sundays@Noon), the Irish World Academy of Music and Dance (Lunchtime Concert Series) and the Avila Carmelite Centre, Dublin. 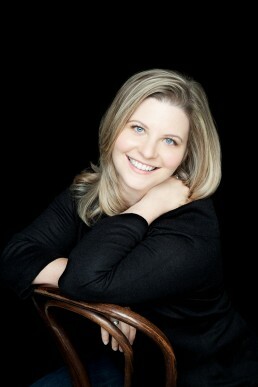 Catherine is featured as a soloist on award-winning Canadian composer Christopher Tyler Nickel’s CD, Rain, which garnered acclaim for her `stunning soprano vocals´ (Musical Discoveries). Her debut solo album Lullaby was launched in Smock Alley Theatre, Dublin in April, 2015, as heard on RTE lyric fm. 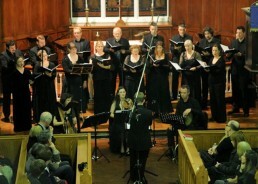 As a member and soloist with many of Ireland’s premier choral ensembles, including Resurgam, Chamber Choir Ireland, St. Teresa’s Clarendon Street Choir, the Milltown Chamber Choir and Fishamble Voices, Catherine has performed across Ireland and internationally in Switzerland, Brazil, Germany, Spain and Italy. Catherine has been awarded numerous grants, prizes and scholarships from organizations such as the Kiwanis Music Festival, the B.C. 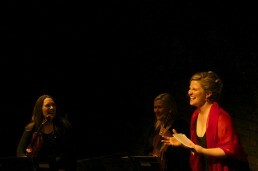 Arts Council, the Vancouver Foundation, the Leon and Thea Koerner Foundation, and the Vancouver Women’s Musical Club. She was also offered a Commonwealth Scholarship and Fellowship Plan. Catherine holds a Postgraduate Diploma from the Royal Academy of Music, London and a Bachelor of Music degree from the University of British Columbia, Vancouver. Her singing teachers include Suzanne Murphy, Beatrice Unsworth, Audrey Hyland, David Meek, and Marisa Gaetanne. She has been coached in masterclass by numerous esteemed artists and teachers including Marie McLauglin, Norma Burrowes, Paul Esswood, Udo Reineman, Ugo Benelli, Stuart Hamilton, Karina Gauvin, and Suzie Le Blanc. She has studied intensively with Nancy Argenta, Ingrid Attrot and Meribeth Bunch at the Nelson Summer Songfest, Edith Wiens at the Wiener Meisterkurse, and Ellen Hargis at the Vancouver Early Music Baroque Festival. Catherine has many years of experience singing at wedding ceremonies, funerals, memorial services, and other special events, both in Ireland and abroad. She can help you choose your musical programme to suit your individual tastes and wishes and can recommend and/or organise professional instrumentalists such as organists, string quartets and harpists to perform with her. Please contact Catherine to discuss how she can help enhance your special occasion. 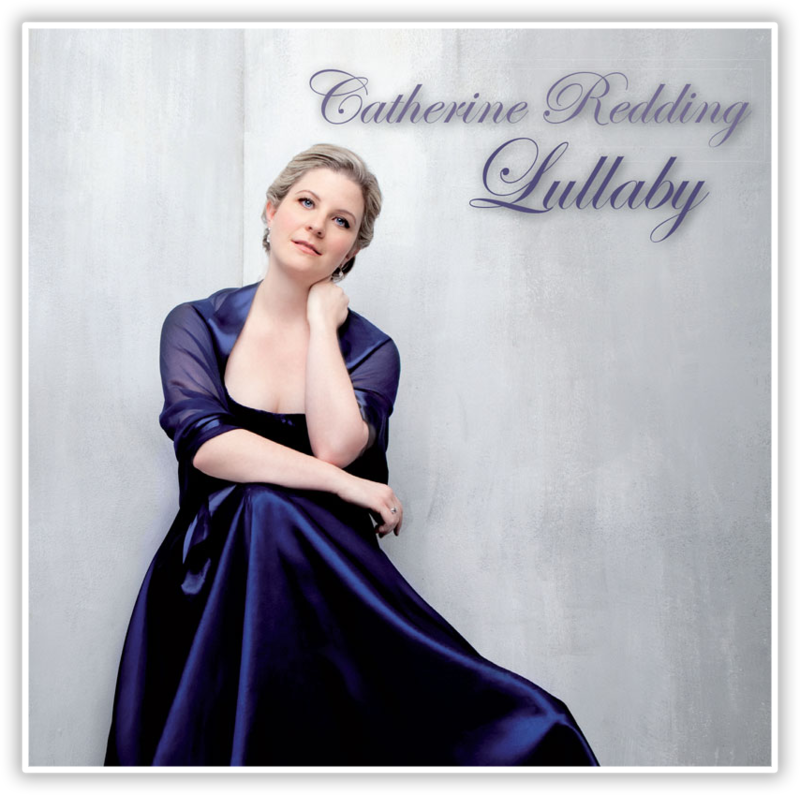 To listen to samples of Catherine’s singing, please click on the following tracks. I just wanted to say a massive ‘Thank You’ to you for your superb singing at our wedding. The guests raved about you all day and I still hear great comments from everyone I speak to about the wedding. My father was particularly impressed by you which I was thrilled with. Thank you for playing a very special part in our magical day. We thoroughly enjoyed each and every piece you sung and have our DVD to treasure with your beautiful voice to listen to. Thank you so much for agreeing to sing at our wedding ceremony. Your truly beautiful voice added an extra dimension to our wedding ceremony and made the day even more special for us. We really appreciated your professionalism and the time you took to go through the music choices we had for each aspect of the ceremony. All our friends and family complimented your exquisite singing and we will be delighted to recommend you in the future. Catherine did us the great honour of singing at our wedding. It was an unforgettable experience to hear her rendition of ‘Laudate Dominum’ (Mozart) and ‘Nulla in Mundo Pax Sincero’ (Vivaldi) during the service and to leave the church to the tunes of ‘Exsultate Jubilate’ (Mozart), sung like a nightingale. Many guests complimented her moving singing. We just want to say a big thank you for helping to make our ceremony even more special to us and for all the help and advice in choosing the music. We hired Catherine Redding to sing at our wedding ceremony. She blew us away. I had no background in classical music and had no idea what to be looking for; Catherine’s extensive knowledge quickly got to the essence of our needs. Catherine is not only gifted with a gorgeous voice, but she also has an ability to translate your needs into a stunning compilation of music for your perfect day. We were married in a very large outdoor space, and Catherine’s voice carried to every crack and cranny of this ridiculously large venue. Her voice is gorgeous. It was truly a thrill to have her voice sing me down the aisle. It was perfect; we guarantee you will not find a better soprano for your wedding day. Emily & Austin, Seattle, U.S.A. I highly recommend her for any special ceremony. Catherine is very professional and thorough. 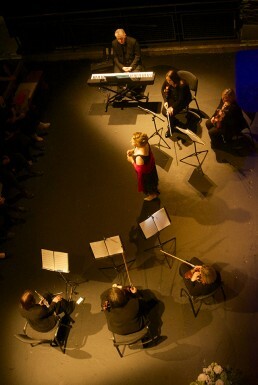 She helped us decide on the music that best suited us and also recommended the string quartet. Catherine’s contribution to our wedding was one of the greatest, most unforgettable gifts we received. Thank you again, Catherine.